Do you want to work for yourself? You can find some great home business ideas in this section. Starting a business from home, can be an excellent way to create the work-life balance you need. In this section you will find information and advice about how to start a home business and ideas for running a home based franchise business, as well as tips on freelancing and managing the responsibilities which come with being self employed. Having children alters our priorities. Deciding to make changes to how we work is something that most of us face at some point: whether it’s moving to part-time hours or taking a job closer to home. We all have bills to pay and most of us enjoy having a career. Often, deciding to start a small business from home is a great way to balance financial, family and personal goals. Creating a home based business is rapidly becoming the norm. According to the Centre for Economics and Business Research, more than half of the UK’s businesses are now run from home. So how do you go about starting a business from home and what are the main considerations? We explain some of the advantages and challenges, and explore some home business ideas for you to consider. There are a vast array of home businesses today. Popular options for parents include childminding, cleaning or becoming a seller on eBay, Amazon or Etsy. The UK also has an army of freelance professionals that work from home, covering areas including law, customer service, business admin, copywriting, marketing, IT and web services, accountancy and human resources. Most people that set out as freelancers have a clear idea of where they want to focus. Read our guide to freelancing here. Lets explore the options for people that aren’t sure what kind of home business is best for them. The first step is to narrow down the categories of business ideas that interest you. A good place to start is our list of home working jobs. As you’ll see, employers are increasingly seeking home-workers to complement their teams. There are also lots of opportunities to start earning at home straight away – by participating in paid online surveys and doing market research. You can also find many home based online jobs – a real growth area at the moment. There are often opportunities you might not have considered, too, such as hosting overseas students during school holidays. If you’re keen to be your own boss and find the best home business for you, but aren’t sure about the direction to head in, you could consider franchising. Buying a franchise requires an up-front investment that buys you a tried and tested business approach. You receive great support and training from the business to get up and running. Find out more about franchising. Will a home business suit me? It’s important to take time to think about the practicalities of working at home. While some people are happy to work at the kitchen table, others prefer to be able to have a study or workspace that they can treat as their office. Will you find being at home distracting, and end up tidying or switching on the TV when you should be focusing on work? Or, at the other end of the scale, will you find it hard to drag yourself away from emails and the to-do list at the end of the day? Read our top tips on home working. The costs of setting up a business at home vary wildly. For many freelancers, the costs can be minimal – a website and a software package can be enough to make a start. If you’re buying a franchise or you need to kit out a room in your home to run the business, you could need a thousand pounds or more. If you have the funds already in savings, that’s great, but many of us will need to secure a loan to get started. This useful article talks through the financial options – from crowdfunding and start-up loans to traditional bank loans. A large number of home-based business owners originally started up their company so as to have more time with the family. But actually achieving this in practice can be a challenge! Do bear in mind that working from home can be tricky. A childminder can find balancing the needs of their ‘mindees’ against the demands of their own children difficult. Making business calls when your children are at home can be distracting, and even the demand on wi-fi once the family is home from school can affect your business performance. Do consider carefully whether you will realistically be able to run a business from home with the family around you. Some working parents rely on friends, family, clubs and childcare providers to give them the space they need for their home business. Alternatively, you could seek a term-time only role. Perhaps the most appealing aspect of creating a home business is that it puts you in more control of your career. You can decide the hours you want to work, set your own goals and targets, and make your own decisions about the future. That sense of control can be very rewarding in itself. Business owners get great job satisfaction in knowing that every success is down to them. It can be financially rewarding too. Freelancers often report that they can earn the same amount working part time as they previously did in a full-time role, and many small business owners end up creating enormously successful companies that they can eventually sell! We shouldn’t forget that not every business is successful. Companies close every day for many reasons – but often it comes down to cashflow or a drop-in sales. Not being paid on time is a serious issue for many businesses, so it’s worth having some savings stashed away should times get tough. 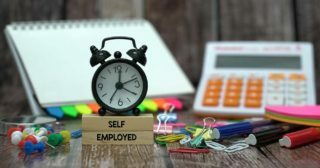 There are useful tips in this post about financial tips for the self employed. You also need to make sure you’re on top of legislation and tax requirements. You need to register with HMRC as self-employed, or you can create a limited company. Either way, you’ll need to file your accounts and pay your tax by the end of January every year. Many small businesses appoint an accountant to manage this for them – it doesn’t need to be expensive. Another challenge is to ensure that you have the right insurance for your business. Some companies will need public liability insurance, others need professional indemnity cover. It may also be worth considering income protection, which keeps money coming in if you’re unable to work due to illness or injury. 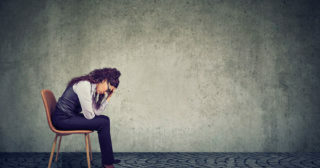 Finally, it pays to be realistic about the level of stress that running a business can create. Some people find it difficult to turn work down, even when they’re already overstretched. Set yourself some ground rules about what you will and won’t do in a work context, and have a back-up plan for every likely eventuality. But do try not to worry unnecessarily. Take inspiration from other mumpreneurs – read some great examples here. How to start depends a lot on the type of business you’re looking to run. There are some important legal considerations when becoming self employed. You will also need to purchase any necessary equipment for your new role and work out a plan for attracting your first customers. Will you need a website? Some flyers? Don’t underestimate the value of talking to others. Seek out people running the same sort of home business and talk through their learnings and challenges. Most areas have a local business group you could join, but if that doesn’t appeal to you, there are less formal options. Chat to parents in the playground, speak to friends and family and pick their brains. And don’t forget that workingmums.co.uk is a great source of advice, case studies, news and opinions on all kinds of real home based businesses. Franchising – a flexible option? Have you ever thought about franchising as a way to set up your own home business? Franchises are a little like a ‘business in a box’, where you buy a tried and tested concept and brand, and are fully supported in setting up your business. Search here for a range of flexible franchise ideas, everything from children’s parties, to business services.